Staying in the best Paris budget hotels is a very special experience. Not only are you saving money, but because they’re often family run it makes for a more personal experience. People return to their favorites year after year so it’s best to book early. Budget hotels in Paris listed here have very good reviews. Price range from €80 – 150 double occupancy during high season. Expect lower rates off season. Most of the rooms are very small. So when packing it’s best to bring 2 smaller bags per person that 1 large bag. Organized by neighborhood, I’ve hand picked the most centrally located hotels with the best reviews and price. I’ve not personally stayed at these hotels but chose the hotels where I would stay (I’m very picky). One hotel further from the center of town I’ve included because of the great reviews and value it offers. Many of these Paris budget hotels do not use on-line hotel booking companies because they are small, family owned and it doesn’t make economic sense for them to so. You book with them directly. The review link will take you to the most recent reviews. The booking info link takes you to detailed information on the hotel and the opportunity for secure on-line booking through Booking.com. One of our trusted affiliates, we’ve booked many times through them and have always been happy. The added benefit is that you don’t pay until your stay. 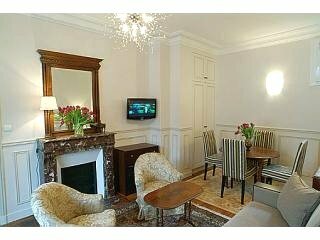 Ideal location right near Notre Dame Cathedral on the Ile de la Cité in the exact center of Paris. Family run hotel. Visitors return year after year. very popular, reserve well in advance.